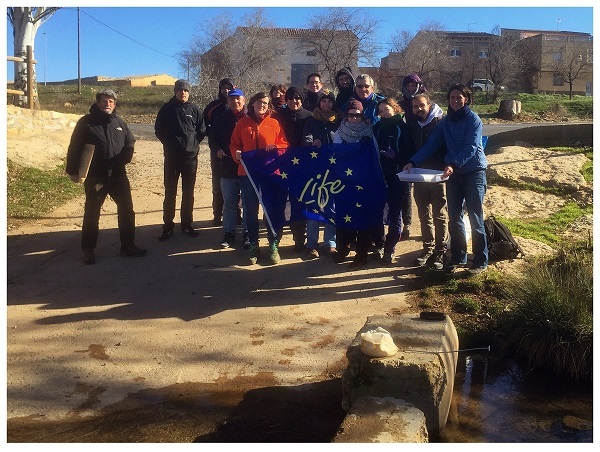 During 2017, the European project LIFE Trivers, coordinated by the University of Barcelona, will set up several workshops on citizen participation in order to gather priority measures for the conservation and restoration of the ecological status of the studied water bodies, in the internal basins of Catalonia, the basins in Júcar River and Ebro. The aim of this initiative will be to transfer the results to water authorities such as the Catalan Water Agency (ACA) and Jucar Hydrographic Confederation (CHJ), also members of Trivers project. Another aim is to include these measures in the future hydrological plans for each basin. The initiative was presented together with the results of the project during the third Trivers stakeholders meeting, held in Zaragoza on January 25 and 26. Under the motto “Temporary Rivers: natural or hydrologic alteration?“, the meeting gathered scientists, managers and other stakeholders involved in the improvement of the management of the rivers with a temporary hydrologic regime, where there is a recurrent interruption of flow and therefore rivers can run dry. Apart from the UB, ACA and CHJ, the project counts with the participation of the Institute of Environmental Assessment and Water Research (IDAEA-CSIC). The meeting presented the new version of TREHS software (Temporary Rivers Ecological and Hydrological Status), created by Trivers aiming to diagnose the ecological status of temporary rivers. The flow variability in these kind of rivers makes it difficult to make a proper diagnose according to the objectives of the Water Framework Directive (DMA) of the European Union, since there are no assessing tools adapted to these features. Moreover, most of the times, this temporary regime is caused by human impact, such as water extraction for agriculture, and therefore it is essential to distinguish a river with a “natural” temporary regime from the one with an altered regime. In order to solve this problem, TREHS brings available historical data on river flows, as well as interviews with neighbours and data from simulations made out of water runoff models, and it determines its hydrological regime (permanent or temporary) and its hydrological status (if the hydrological regime is natural or has been modified by human action). 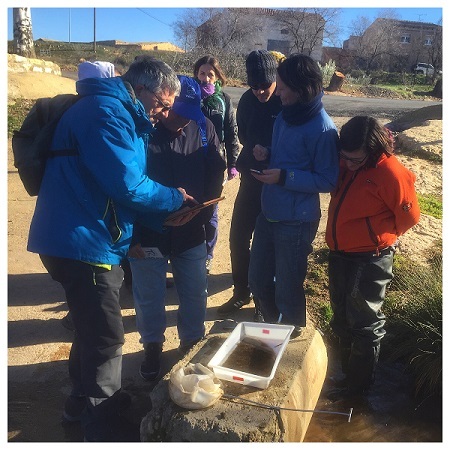 The new version, presented in Zaragoza, brings the possibility of using additional information from aerial photos and specific observations of biological samples, for example, a picture taken the day of sampling, where it can be seen if there were ponds –or not. Also, there are new functions of data visualization which “will allow us to make a more accurate diagnose of the regime and hydrological status”, says Francesc Gallart, researcher from IDAEA-CSIC. Furthermore, Narcís Prat, professor from the Department of Evolutionary Biology, Ecology and Environmental Sciences, head of the Research Group Freshwater Ecology and Management (FEM) of the UB and coordinator of the project LIFE Trivers, put emphasis on these new functions in an ecological context since “they will help us to reach a better understanding of the ecological potential a river can have, since we cannot know if there are ponds when there is no flow, and therefore, we cannot know whether the aquatic fauna can find shelter when water stops running”. The meeting also presented the first results by CHJ after applying TREHS in several temporary water bodies. “This last year, we interviewed CHJ river guards to add them into TREHS, and we got data to determine the hydrological regime from several segments of rivers where there is no gauging station. In addition, since TERHS is a software that allows different hydrological models, we could compare them and optimize our results”, says Sara Jiménez, head of the technical service of the CHJ Hydrological Planning Office. 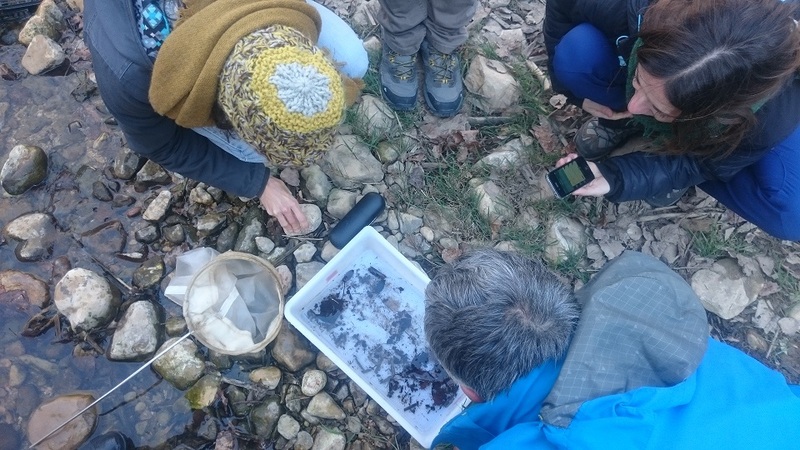 The participants could use the new version of TREHS with rivers from the Ebro River basin as a study case during the field trip on the first day of the meeting. For instance, they could analyze the data from Aguasvivas River, which is affected by watering exploitation and disappears during its course. Resulting from the interest of the participants, there will be a course soon in order to work on this software. The results of the biological quantity out of biological indicators such as macro-invertebrates and fish –were also presented in the meeting. According to Núria Cid, post-doctoral researcher from the Department of Evolutionary Biology, Ecology and Environmental Sciences of the University of Barcelona and also member of the FEM research group, “the main problem is related to reference values for temporary rivers: biological communities in some rivers show a large natural variability and therefore the same happens with the applied biological index, which hardens the establishment of limits representing a good conservation status and help establishing environmental objectives”. Regarding fish, ichthyic communities in rivers that are temporary due human action, such as the lower area of Matarranya River, are negatively affected by the lack of flow. According to Dolors Vinyoles, professor at the same department and expert in the study of fish communities, “from the moment when the river stops running and the quality of basins lowers, for the reduction of the dissolved oxygen concentration and the rise of temperatures, fish are more vulnerable to parasite infections, at the same time there is an extreme competitiveness for trophic resources. Also, invasive species such as the mosquitofish (Gambusia holbrooki) benefit from this situation for their expansion. Therefore, at the end there is a significant decrease of the biological quality”. In the case of ephemeral rivers, without water most of the time, there will be other methods based on hydromorphology. Regarding these needs, in the meeting, Alfredo Ollero, professor of Physical Geography at the University of Zaragoza, presented a hydromorphological index adapted to ephemeral temporary rivers, named IHG. At the end of the meeting, future social-related actions of the project were presented. Apart from the citizen participatory process, a new phone app was announced. This app will allow sending information from mobile phones to a database on aspects of hydrology and ecology of temporary rivers, in a dynamic way, accessible for everyone.